What Mark Cowin, Natural Resources Secretary John Laird, DFG Director Chuck Bonham and other state officials fail to mention in this and other press releases is the biggest water news of 2011: the record amount of water exported from the Sacramento-San Joaquin River Delta and the record high number of fish killed in the “predatory” Delta pumps. 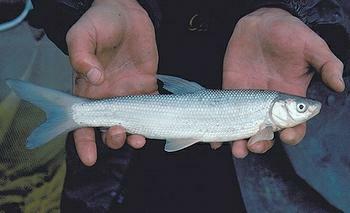 Photo of Sacramento splittail courtesy of California Department of Water Resources. The California Department of Water Resources (DWR) announced on December 28 that it will conduct the first snow survey of the winter in the Sierra Nevada on January 3, 2012. The announcement comes after an infamous year when the Brown and Obama administrations exported record amounts of water to subsidized agribusiness and southern California water agencies, killed millions of Sacramento splittail and other fish in the Delta pumps and fast tracked a controversial plan to build an environmentally destructive peripheral canal or tunnel. “Statewide electronic readings indicate that today’s snowpack water content – near the end of an unusually dry December – is only 24 percent of normal for the date. At this time last year (December 27), the statewide snowpack water content was 202 percent of average,” DWR noted. Despite the low early readings, DWR announced the snowpack and its water content can be expected to increase through the winter months to April 1, when melting snow begins flowing into streams and reservoirs. DWR and cooperating agencies conduct manual snow surveys around the first of the month from January to May. An acre-foot is 325,851 gallons, enough to cover one acre to a depth of one foot. The annual export total, including water diverted by the Contra Costa Canal and North Bay Aqueduct, was 6,633,000 acre-feet in 2011 – 163,000 acre-feet more than the previous record of 6,470,000 acre-feet set in 2005, according to DWR data. The annual export total, excluding water diverted by the Contra Costa Canal and North Bay Aqueduct, was 6,520,000 acre-feet in 2011 – 217,000 acre-feet more than the previous record of 6,303,000 acre-feet set in 2005. Ironically, the Metropolitan Water District of Southern California offered water at discount prices in 2011, since southern California reservoirs largely filled. The record pumping from the Delta – used to fill the Stewart Resnick-controlled Kern Water Bank and southern California reservoirs – resulted in a huge, unprecedented fish kill at the Delta pumps in 2011. Agency staff “salvaged” a total of 11,158,025 fish in the Delta water pumping facilities between January 1 and September 7, 2011 alone. A horrific 8,985,009 Sacramento splittail, the largest number ever recorded, were salvaged during this period, according to DFG data. The previous record salvage number for the splittail, a native minnow found only in the Sacramento-San Joaquin River system, was 5.5 million in 2006. The fish “salvaged” at the “death pumps” of the state and federal water projects also include hundreds of thousands of threadfin shad, striped bass, American shad, white catfish and other species. DFG data reveals that 742,850 threadfin shad, 514,921 American shad, 496,601 striped bass and 100,373 white catfish were “salvaged” between January 1 and September 7 of this year. Agency staff also “salvaged” 35,560 Sacramento River spring run and fall run chinooks, 1,642 Central Valley steelhead and 14 green sturgeon in the project facilities during the same period. While no comprehensive studies have been conducted on how many of the salvaged fish survive, fish advocates believe that the majority of many species perish during and after the salvage process. Although the salvage counts are certainly alarming, the overall loss of fish in and around the State Water Project and Central Valley Project facilities is believed to be much greater than the salvage counts. The actual loss could be 5 to 10 times the salvage numbers, according to “A Review of Delta Fish Population Losses from Pumping Operations in the Sacramento-San Joaquin River Delta,” prepared by Larry Walker Associates in January 2010 for the Sacramento Regional County Sanitation District (http://www.srcsd.com/pdf/dd/fishlosses.pdf). The reason for the massive, unprecedented fish kill in the Delta pumps was the record amount of water exported out of the Delta this year. Another fact that you won’t find in any state or federal agency press releases is the alarming revelation that an employee of the Westlands Water District is currently working “on loan” for the Department of Water Resources (DWR) on the Bay Delta Conservation Plan (BDCP), the plan initiated by state and federal water contractors to allow them to build a peripheral canal or tunnel in the Sacramento-San Joaquin River Delta. The Brown and Obama adminstrations are forging ahead with the peripheral canal plan to facilitate the export of more northern California water to southern California and corporate agribusiness on the west side of the San Joaquin Valley. Delta residents, fishermen, Indian Tribes, family farmers, conservationists and environmental justice advocates are opposing the construction of the canal because it would likely result in the extinction of Central Valley steelhead, Sacramento River chinook salmon, Delta smelt, longfin smelt, green sturgeon and southern resident killer whales (orcas). The good news is that most of the state’s major reservoirs are above normal storage for the date, in spite of record water exports to corporate agribusiness and southern California. Lake Oroville in Butte County, the State Water Project’s principal storage reservoir, is at 115 percent of average for the date (72 percent of its 3.5 million acre-foot capacity). Lake Shasta north of Redding, the federal Central Valley Project’s (CVP) largest reservoir with a capacity of 4.5 million acre-feet, is 108 percent of average for the date (68 percent of capacity). San Luis Reservoir in Merced County, an important storage reservoir south of the Delta, is at 139 percent of average for the date (94 percent of capacity). San Luis, with a capacity of 2,027,840 acre-feet, is a critically important source of water for both the SWP and the CVP when pumping from the Delta is restricted or interrupted. This entry was posted in Conservation, Dan Bacher. Bookmark the permalink.